All the lovely villas which are just a walking distance to a beach. 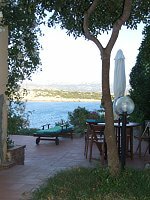 Large peaceful villa with beautiful gardens, overlooking the bay of Punta Molara. 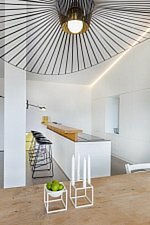 Large terrace, patio with barbeque and large wrought-iron dining table. Fully equipped kitchen. Double bedroom and twin bedroom and bathroom. Alghero in addition to the historical centre which is the most picturesque of the whole island, also has a multitude of beautiful beaches starting from the lido, which can be reached on foot from old town to the white beach called bombarde, with emerald water and lazzaretto beach, the most secluded beach with water as transparent as a swimming pool. Here we rent the beautiful spanish tower. La Speranza on the way to Bosa has a striking wild beauty and Porto Ferro is a surfer’s paradise! South Sardinia. 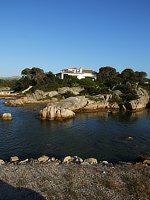 Near Villassimius, 80 m to a child friendly beach with shallow water. Sleeps 6. 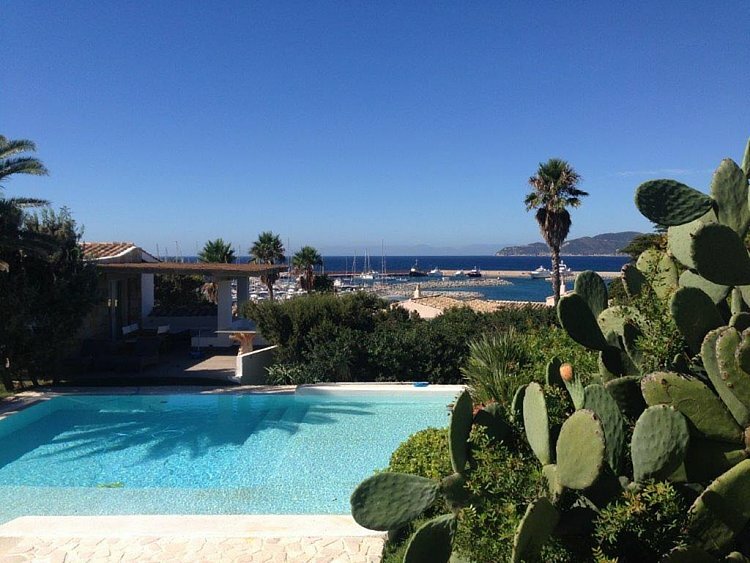 Charming Villa in South Sardinia , 80 m to a child friendly beach with shallow water. A wonderful place, it opens like a pearl nestling amidst Sardinia unblemished nature framed by granite rocks and white sand, it will offer unforgettable, relaxing summer days. Sleeps 8. With access to the facilities of the Spa Hotel nearby. Perfect for families with children, playground on the beach and private beach section. South West Sardinia. 40 km to Cagliari airport. Booked from 1 July till 30 September 2018. Contemporary villa with a touch of luxury. Private swimming pool. The nearby beach has white soft sand and the emerald transparencies so typical of Sardinian beaches, it is secluded and very beautiful it skirts juniper trees vegetation. Guests can find everything they might need in the villas. Including internet Wi-Fi. Guests can relax in their own private garden, or enjoy a meal in the excellent restaurant or lounge around the swimming pool of the hotel enjoying a drink at the charming hotel café-bar. A visit to the relaxing beautiful Spa is a must! For children there is a playground and during summer some activities for children. Sleeps 16. Built directly on the beach. Complete privacy, modern sophisticated interior. Close to beach. Sleeps 8. Private swimming pool. 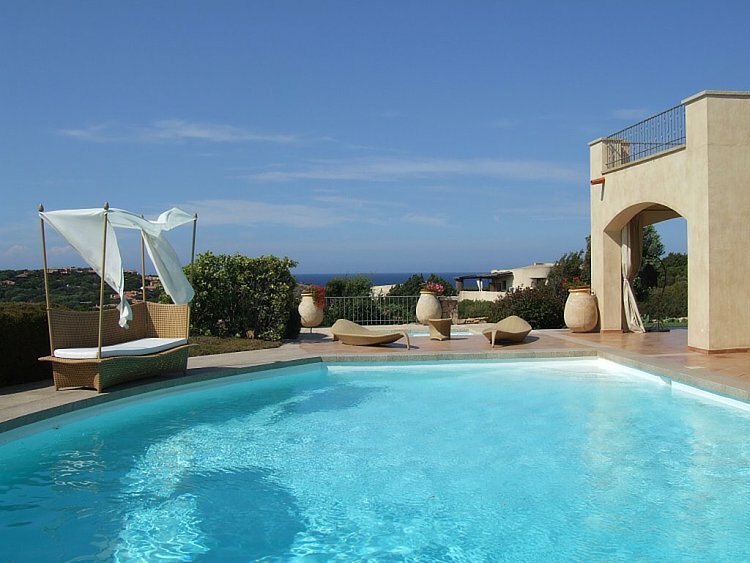 Charming villa 150 m to one of Sardinia’s most striking beaches, La Celvia, a stone’s throw away from Cala Di Volpe. 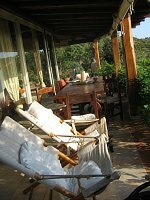 The location has a lot a privacy as the villa is surrounded by a lush peaceful garden.